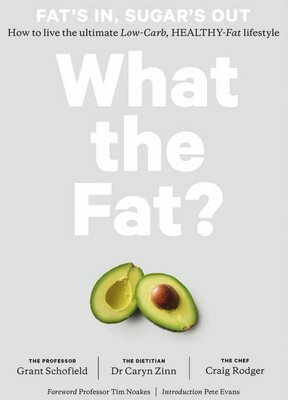 Heard the one about the Fat Professor, the Whole-Food Dietitian and the Michelin-trained Chef who want to change the world? Nope, this is not a silly joke. Far from it. In fact, we hope this book provides some serious answers. We hope it is the beginning of a life-changing journey for many who have experienced inexplicable weight gain, the heartbreak of constant deprivation and yo-yo dieting, or worse, physical illness through poor nutrition. For decades, the brightest minds in the nutrition and science field have had fat pegged as the bad guy. As a result, many of us have been enslaved by an outdated food pyramid which has pushed us to eat carb-laden and processed food. As the evidence mounts against sugar and processed carbohydrates, it's time to flip the pyramid and break free of the fat phobia. In this practical guide, we present inspiring success stories, compelling evidence, and simple ways to “eat upside-down”. Forget everything you were taught at school, flip the food pyramid on its head and start nourishing your body the way it was designed to be nourished.